A fun opportunity to host a Disney-themed party for tweens & teens? We couldn’t resist! At first thought most people assume that all-things Disney are more reserved for younger kids (I thought this too when my girls were under 7). But I have come to appreciate how silly tweens and teens can get when it comes to their favorite Disney characters or just the thought of heading to a Disney park, movie or place of some sort. We used our party as an excuse to let go of MUCHO stress following a week of school testing for grades 3 – 8. The kids had had a week of early sleeping and good breakfasts to prepare for their exams but you could sense the stress in their voices and demeanor just talking about the next day’s test themes. Our party was easy. 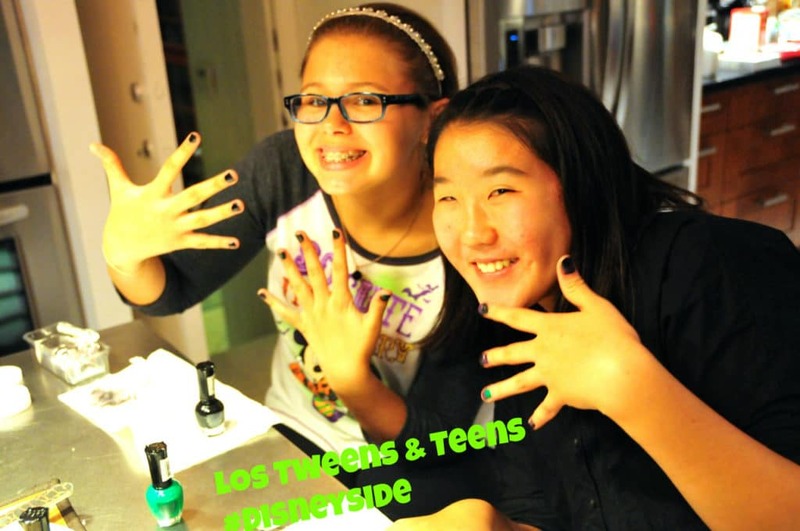 We let our guests- the tweens and teens themselves- create the table decorations and have fun designing their own nail art. In other party-related posts, I’ve suggested letting go some control and letting the kids just create their own themes and decor- it really works! Sometimes the ‘perfect party’ is just one that they will really enjoy and if they take part in the creativity- they will love it even more! Add some fun villain-inspired nail art ideas for them to create and it’s a bunch of fun! We had black, green and dark purple. From Ursula to Cruella- the ideas are endless as well as the fun. Nail art always is a favorite with teen girls! Here are more ways you can show your Disney-side this summer! 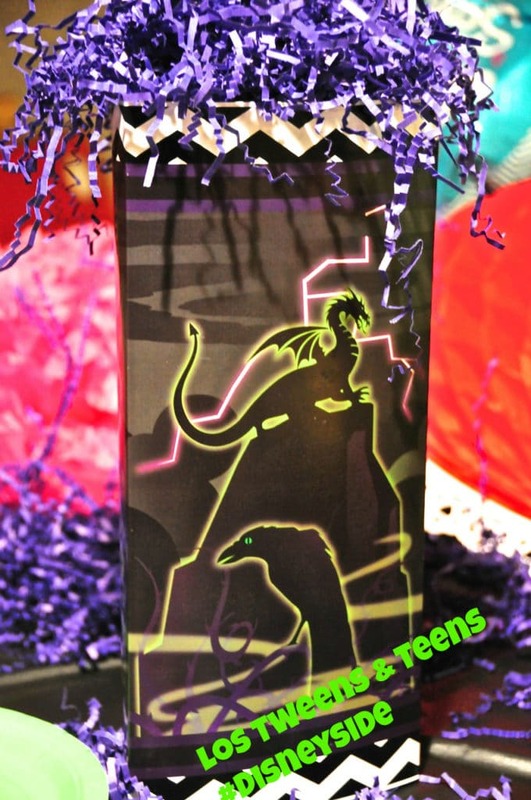 Take some easy shredded, colored craft paper with cool villain-inspired cut outs and you have easy centerpieces. 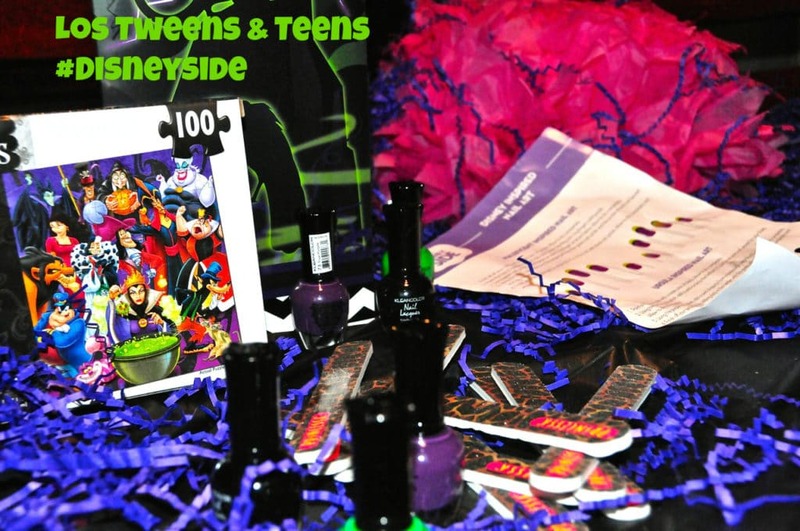 The trick to a tween and teen-loved Disney party can be in the villains and what’s cool to them. Villains make the coolest centerpieces with just shredded craft paper on top! The theme to this photo would be: Girls Just Wanna Have fun!! Check out our Los Tweens & Teens Facebook page to hear the music playing during our party. We streamed Radio Disney which let the girls have a lot of fun being silly signing some of the favorite movie-inspired songs. With so many middle school pressures, showing their #Disneyside is a great distraction! 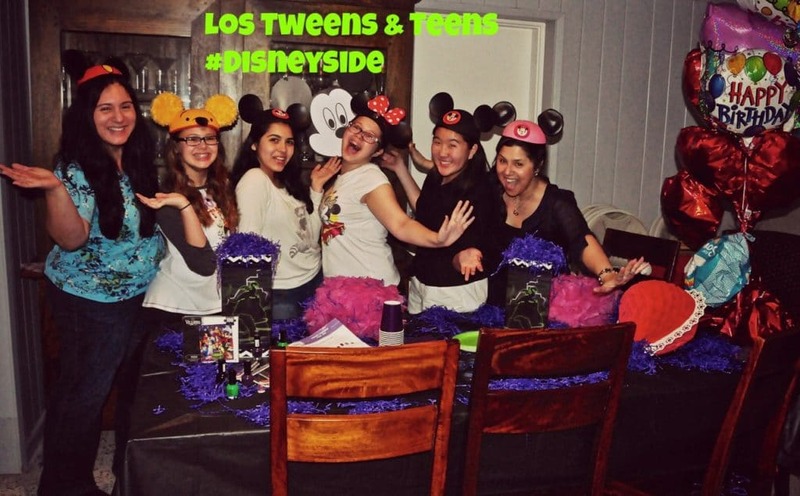 NOTICE: Los Tweens & Teens was invited to host a #DisneySide @Home Celebration from Mom Select. We received a party kit filled with Disney-themed party items and goodies which included other products. This entry was posted in Ideas and tagged birthday, Disney, Disney Parks, Party, Party themes. Bookmark the permalink. My son’s preschool teacher dressed up as Malificient this past fall. She started me when she walked in the door. I can’t imagine what those 3 and 4 year old’s thought. I love a good villain party, that looks like a lot of fun.